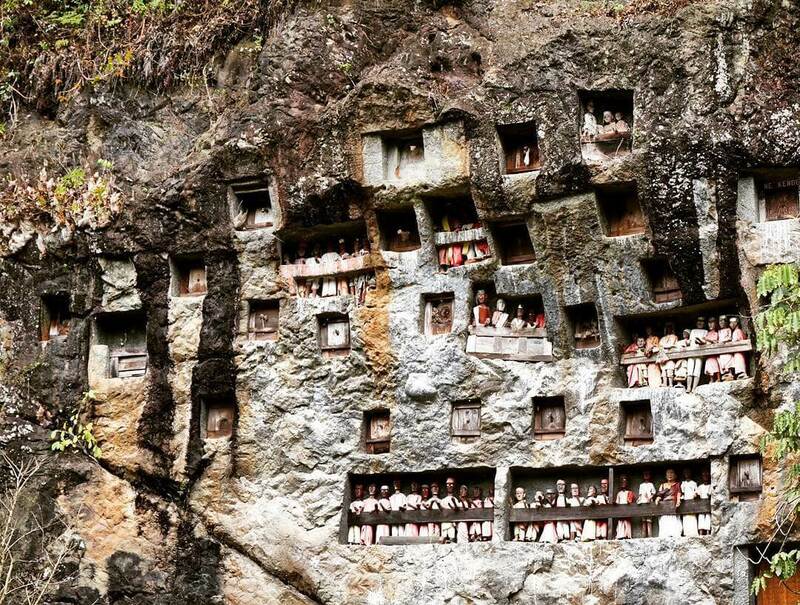 The Toraja people well know with their specific and strong culture, it can be seen in the death Ceremonial, Traditional house with arch-shaped Roog and beautiful carvings with natural color. An ethnic group who believes their forefathers descended from heaven onto a mountain some twenty generations ago, the Torajas have a unique culture based on animistic beliefs. 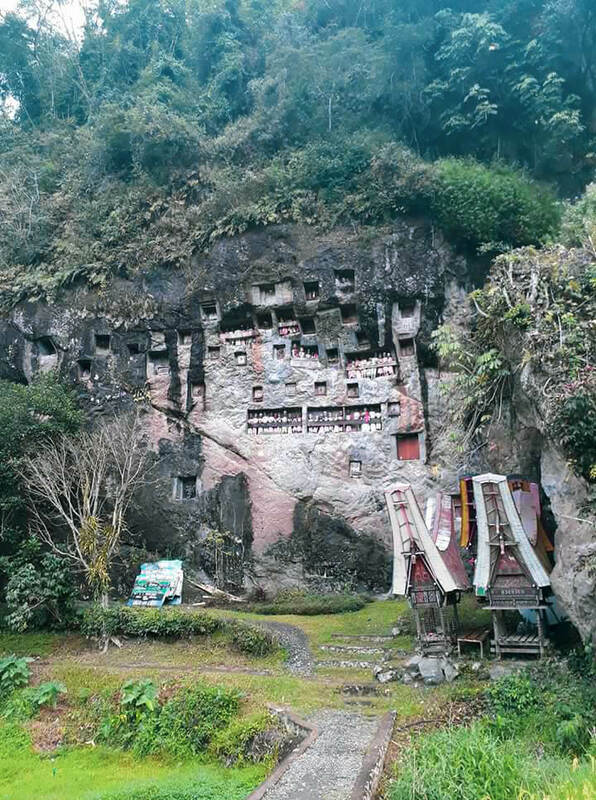 Known for grand burial ceremonies on cliffs or hanging graves, they practice an ancestral cult even today where death and afterlife ceremonies are great feasts when buffaloes are sacrificed in the final death ceremony, after which the deceased remains have placed a coffin and interred in caves hollowed out in high cliffs. The mouth of the cave is guarded by lifelike statues, looking out from a “balcony”. As death has such important meaning when the souls are released, burials are elaborate and follow days of feasting. Rock graves are also a form of burial. A strict hierarchy is followed in villages. They are known for their unusual customs; today most are Christians. Toraja also resisted the Dutch until the first decade of the 20th Century.